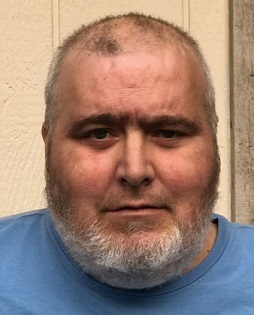 Gary R. Davis, 48, of Gas City, IN, passed away at 2:30 AM, Friday, November 9, 2018, at Lutheran Hospital, Ft. Wayne, IN. Gary was born on August 21, 1970, the son of Freddie R. and Carol Ann Constable Davis. Gary graduated from Oak Hill High School in 1988. He is survived by his sisters Marcia Lewis and her husband Kenneth , Loveland, OH, Sherry Davis, Ontonagon, MI, Michelle Pond and her husband Chad, Converse, IN, brothers Craig Davis, Cincinnati, OH, and Freddie Davis and his wife Bethanne, Amboy, IN; nieces and nephews Crystal Stinson, Stephanie Can, Nick Brazier, Ashley Davis, Derrick Pond, Brittany Matchette, Paige Davis, Joshua Gray, Ashley Davis, Tiffany Davis and Kylie Sparks. Gary was preceded in death by his parents, and his beloved dog Boots. A service celebrating the life of Gary R. Davis will be held at 4:00PM, Saturday, November 17, 2018 at the Laird Eddy Funeral Home, 201 N. Main Street, Amboy, IN with Pastor Blaine Pond officiating. Family and friends will gather from 2:00 – 4:00 PM on Saturday at the Laird-Eddy Funeral Home. In lieu of flowers memorial donations may be made to Laird-Eddy Funeral Home to assist the family.